To be honest, I went into Matthew Vaughn’s X-Men: First Class expecting a trainwreck on the same level as X-Men: The Last Stand and X-Men Origins: Wolverine. Yeah, I’d heard the positive early reviews, but I had a really difficult time convincing myself that Fox had somehow turned this creatively troubled franchise around with a crowded prequel set during the Cuban Missile Crisis. Thankfully, Vaughn kinda nailed it, largely thanks to superb casting. 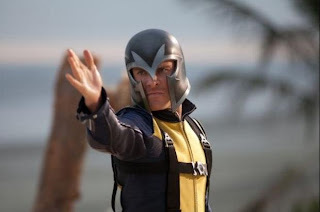 James McAvoy played a great young Professor X, while Michael Fassbender’s Magneto is always interesting to watch. January Jones strutting around in lingerie as Emma Frost doesn’t’ hurt the film either. Seeing as how Fox’s X-Men series just got a lot better, I was pleased to learn that Bryan Singer—who directed the first two films and produced First Class—is already talking about a sequel that will similarly involve real historical events. This would be an interesting direction for a First Class sequel, especially given the prevalent theme of tolerance and coexistence in the X-Men mythology. For the full Times story, click here.